Working with Ivan for our wedding and engagement photos was one of the best parts of getting married. From the start, Ivan's professionalism paired with his easy-going, straight-forward manner made me relaxed and confident that not only was I going to have fabulous photos, but that the pictures of me and my husband would look like us and capture our personalities. 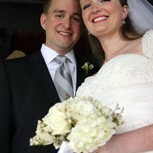 Of course, the best part - our pictures are GORGEOUS!!! 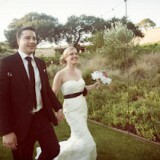 We look natural, happy, in-the-moment, and I am so grateful the best day of my life has been captured so beautifully. We absolutely loved having you as our photographer for our wedding. You are so talented and so easy to work with! 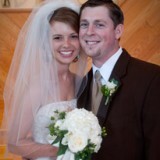 It has been 3 months since our wedding and we still look through the pictures almost daily. Your pictures captured every moment and each time we look through the pictures it feels like were are re-living that special day. We also really appreciate how easy you were to work with. It was important to us that we had a photographer that not only took amazing pictures but that also made us feel comfortable, and for that we can't thank you enough. Sara and I wanted to send along our sincerest thanks for your effort, time, and professionalism in documenting our wedding. Sara and I (along with innumerable other guests) have commented on how your photography truly captured the essence our day. To have a photographer equally as committed to documenting our wedding as we were in planning our big day, was truly a blessing. That is to say... that your still shots of the event will forever recount our day in the way that we chose to remember it. You significantly exceeded our expectations in every respect. We looked at the pictures last night and I was speechless! They are so beautiful, I can't even describe it in words. Everything turned out perfectly. I really appreciate your services as our wedding photographer - we couldn't have found anyone else who would have done a better job. I really appreciate your patience & positive energy at the wedding. Everything turned out so well that it seemed like a dream. Thank you so much for capturing our day! The pictures are wonderful and will be something we will always cherish! We also wanted to say thank you for how great you did with our huge wedding party and all the great shots of the kids in the wedding! You were great around everyone and we couldn't thank you enough for being so calm and patient taking our pictures and making everyone feel so relaxed. We had so many comments on how great our pictures were and how respectful our photographer was, most people didn't even know you were around which enabled us to get truly "candid" shots! 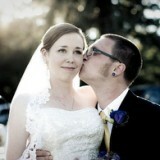 Ivan did an absolutely Wonderful job shooting my wedding. I am absolutely in love with all my pictures. He told an amazing story with his photos. My husband does not like having his picture taken and was not looking forward to all the wedding photos. Ivan made him feel so very comfortable. Every one of our pictures together turned out so wonderful. He made us both feel so special on our most special day. We definitely know we chose the Best photographer for our wedding! Ivan, we are blown away by how outstanding our wedding pictures turned out. You were so accommodating from the very beginning, and we never felt rushed or restricted. Preston says you are the "picture ninja," because it seemed like you were everywhere all of the time, yet hardly noticeable. The pictures felt very natural, and not overworked. They definitely captured our personality. Thank you for working so hard and spending so much time to make our wedding pictures special. We love them! You were so thoughtful in some of the shots you took and made everything (including me) feel and look beautiful. You captured some of our sweetest moments and in your photos it looked like you could catch some of what we were seeing with our own eyes that day. Your presence was remarkable you made us feel easy-going and loose and not stiff and poised. It was like you were family, you joined in so well. The photos are so gorgeous and we absolutely love them. "Ivan was very professional. He and his assistant flew around the entire day capturing everything. We have hundreds of photos to remember that day, and whats most impressive is that he was never in the way. He was always in the background, not attracting any attention but still managed to capture it all. He was a very personable man, and tried his best to capture every moment of our day! We would use him again in a heartbeat, and I would highly recommend him to anyone! Great Job Ivan! Hey Ivan. We have received the album. It is incredible! It is exactly how we imagined it to be. The book is very professional, well-made and beautifully printed. I cannot stress enough how much we appreciate everything you have done for us, and what a positive experience it has been! So is this the end? Can I drag this process out some more? It has been such a pleasure working with you and we thank you very much. If you ever need any other references, feel free to send them my way. Thank you so very much for being a part of our wedding. Often times during the planning process we often felt unsure of who to chose as a vendor because we felt so inexperienced on the decisions we were making. We are so extremely glad that we chose you. Your spirit is wonderful. We used Ivan of Liam Photography for our wedding. He did an excellent job and he has a great personality. He takes the pictures you want, plus catches those shots that you might not think about. He told us that he likes to tell the story of your day through the pictures and he did exactly that. Everyone who has seen the photos ask which one is your favorite and we say it's hard to choose because we love them all. We would highly recommend Ivan for any photo opportunity.